You guys know how it is. Traditional honeymoons are often all about spending days in bed and nights lingering over champagne, candlelight and decadent dinners. But these days, the internet abounds with all-inclusive resort packages, hotel deals and cruises that cater to honeymooners who want to bring their kids along. A soon-to-be-released romantic comedy starting Adam Sandler and Drew Barrymore was even recently renamed The Familymoon. However, at least one well-known relationship expert argues family honeymoons are often not very funny or romantic. To get the scoop, we talked to relationship expert, April Masini of AskApril.com. Masini is all in favor of inclusiveness when it comes to the wedding ceremony itself. But, by definition, honeymoons should be exclusive, even when it comes to the couple’s own children. After all, it’s hard to have raucous relations or even long, intimate discussions over meals when there are kids in the next room who need breakfast or bedtime stories. 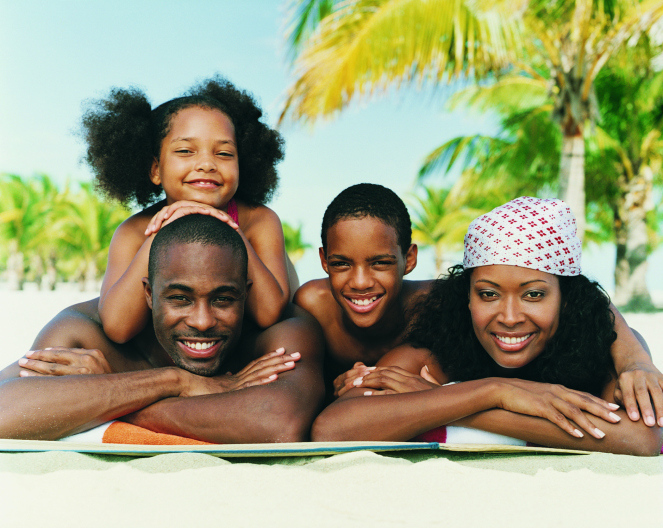 Although a family honeymoon may seem like the perfect opportunity to solidify a blended family, she says it’s more important to establish yourselves as a couple first. Statistics have shown that 50 percent of first marriages, 67 percent of second, and 73 percent of third marriages in the U.S. end in divorce. Blended family drama isn’t the only factor behind those numbers, but anyone who has ever planned or even attended a wedding that involves children, stepchildren, exes and multiple sets of grandparents understands it can add stress to the new union. It may be difficult to find childcare for long enough to allow for an extended and exotic romantic getaway, but just a few days can make a big difference when it comes to building a relationship – and a family -- that lasts a lifetime. “Even if your honeymoon is a weekend away -- in town or out of town -- it's a great memory to make and preserve, and a great way to start a new marriage,” Masini says. Should You Invite Your Ex to Your Wedding?